I remember the elation I was feeling during the days leading up to my appointment at the U.S. embassy in El Salvador. I was on vacation from my teaching job during the Holy Week, Semana Santa, and I had just returned from a short trip to Antigua, Guatemala with my then-girlfriend, Elena, and her family. For a couple days I walked those cobble-stoned streets, ate in its cafes and restaurants, took pictures in front of its Baroque-style churches and architecture, and enjoyed the presence of Elena and her family. Though Elena and I were not yet engaged, we knew we wanted to get married, so we made an appointment at the embassy for the day after we returned from our trip to Antigua. I was very confident that I had done all my research and knew exactly what needed to be completed for us to get married in El Salvador (at a breath-taking cafe on the volcano overlooking the city), continue living there for a year or two, and then return to the United States. The embassy was merely a precaution to make sure we were following all the steps properly. Eventually we met with an embassy agent, but our world came crashing down around us; she explained to us that it would be necessary for us to separate. There were basically two types of visas we could apply for: a fiance(e) visa or a spouse visa. With the former, we separate before the wedding and then get married in the U.S. With the latter, we get married in El Salvador and then separate at some early point in our marriage. Basically, it was essential that I leave Elena at some point to return to the U.S. and establish myself there with a permanent residence and job. We left that meeting so deflated. We would have to be separated. I remember the initial shock, trying not to cry, trying to be strong for Elena, to be positive and act like it was only a small obstacle. We left the embassy and walked down the road a little ways to a coffee shop. We discussed our options but pretty easily decided that it would be better to separate before getting married rather than after. Literally, in the course of one conversation with an embassy agent that lasted minutes, all of our plans had changed. I had planned on teaching in El Salvador longer. We were going to get married on a tropical volcano in Central America! That happened on Wednesday, April 12th, 2017. I literally went back to my home that night and immediately began applying to teaching jobs [side note: I actually applied that night to the school that would end up hiring me, Summit Christian Academy in Lee’s Summit, MO just outside of Kansas City, and I’m so incredibly grateful–so many applications, yet it was the very first where I now work!]. A few days later I notified my supervisor that I would not be returning to teach the next school year. Additionally, I had to say goodbye to some of the coolest 10th, 11th, and 12th graders I knew. Those kids treated me so well, and they gave me one of the most precious goodbye cards I’ve ever received. However, the end had come, and that summer I moved back to the U.S. Elena visited for three weeks, but then, suddenly, we were no longer together. Even now I begin tearing up thinking through the emotions of last summer, watching her walk through security at the airport after saying goodbye, refusing to leave my spot until I absolutely could see her no longer. Some of those first weeks of separation were incredibly difficult for both of us. We had to acclimate ourselves to a new reality in our relationship, a reality that easily fed into underlying fears (Will they leave me? Will they find someone else? Will our application be denied?). Part of me wants to say that I blamed God a lot, but that probably doesn’t capture it. I was just kind of cold to God. The situation had numbed me, and I had difficulty even mustering any sort of emotional response to Him. It’s not that I lost faith. For example, I knew that church was important, and I searched diligently for one when I moved for my new job. However, my personal devotional life was suffering. I found prayer tedious and cynicism easy. With time, however, Elena and I began finding our routine. I had moved to Lee’s Summit and was staying with a family (angels in disguise really–the Whites were a miracle) while I adapted and got settled into the new area, and I began working as a sixth grade teacher, being energized by the relentless youthfulness of the kiddos. Elena began her second year at the American school where she is an assistant teacher for pre-K, and it has proved to be such a positive environment and blessing for her. Thus, we began finding routine in our daily schedules and in our long-distance relationship (lots of texting and video calls). In all this, though, the best thing happened. Even when we first learned that we would be separated, I made comments that perhaps this is a forced blessing, a path we would never choose for ourselves but one that would lead to greater individual growth before we join together forever in marriage. It was always hard to internalize that, but I communicated it nonetheless. However, it became true; that’s exactly what has happened. In this season Elena and I have grown so much closer to each other, and more importantly, we have both galvanized an even deeper and richer foundation in Jesus Christ. He is our Rock. When we can zoom out and look at the big picture, we realize that one year is a small sacrifice if it results in a lifetime anchored in the power of Jesus. If this is what He needed to do to prepare us for our life ahead, then this season is worth it. God tests those he loves. I didn’t want to see it at first. I couldn’t. I said it, but I couldn’t see it. I couldn’t believe it. I couldn’t see how Elena and I separating could lead to anything good. It has, though, and we are both so grateful that God has been faithful. He has been preparing us, making us better versions of ourselves so that we can be better for each other and, ultimately, for God. Elena’s embassy appointment is soon. She has been approved in every step of the process so far, and there’s absolutely no reason to believe she won’t be approved for this final formality. We’re still praying, though, because this journey is always anxiety-inducing. Nevertheless, we have a Power that is beyond all powers; He is the Mystery that is deeper than any mystery, and without Him we’d be nothing. I love you, Elena Montoya, and I can’t wait to marry you soon. Just the other day, my class was performing skits of various scenes in the life of David before becoming king of Israel (and the king of Israel’s brief Golden Age). As I was sharing a few personal thoughts to the end of one performance, I suddenly realized just how closely it paralleled the story of Macbeth. In 1 Samuel 24 we read that Saul is in pursuit of David. Taking a break to relieve himself, Saul goes into a cave where, unbeknownst to Saul, David is hiding with his own men. David creeps up to Saul probably to kill him (the text never says that was his original intent but can be surmised from the context of the situation), his enemy, and gain the throne of Israel. However, instead of killing Saul, David secretly cuts off a piece of Saul’s robe. Even that act, though, causes David deep remorse for touching “the Lord’s anointed,” and he orders his men not to attack Saul. So what are the parallels with Shakespeare’s famous Macbeth? First, in Macbeth the titular character begins as a brave warrior and Thane (nobleman) of Glamis. However, he receives two prophecies by a group of three witches. First, he would be Thane of Cawdor; this takes place later that scene. Second, Macbeth would become king of Scotland. However, Macbeth toils over the conundrum of his own role in the fulfillment of the second prophecy. 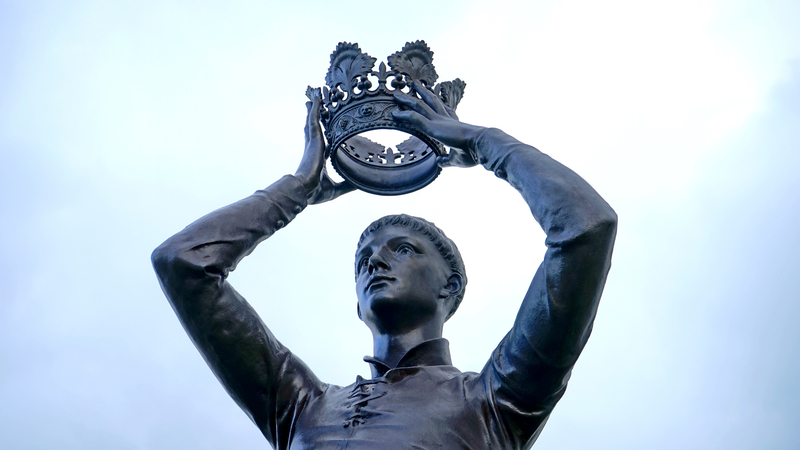 “If chance will have me king, why, chance may crown me, Without my stir” (Act I, Scene 3). Can he trust the prophecy that what had been foretold will come to pass without his direct intervention? Or must Macbeth act on his own behalf? Well, SPOILER ALERT (for those of you who somehow are unfamiliar with the story of Macbeth), Macbeth takes matters into his own hands: He kills the king and, to secure his throne, kills many others besides. Before he knows it, he declares, “I am in blood. Stepped in so far that, should I wade no more, Returning were as tedious as go o’er” (Act III, Scene 4). David, the antithesis of Macbeth, also receives a prophecy that he will become king, foretold by the prophet Samuel. Not only must David decide if he will wait for the efficacy of the prophecy (and God’s dictation), he must submit himself to the temptation of seizing control when fate seems to have favored him with the opportunity to kill Saul in the cave at En Gedi. David, however, remains true to his own humanity (and God’s law), and passes through the test having only gone so far as to cut a piece of the king’s robe. God, true to his word, later allows Saul to be killed in combat, and David, integrity intact, ascends to Israel’s throne. 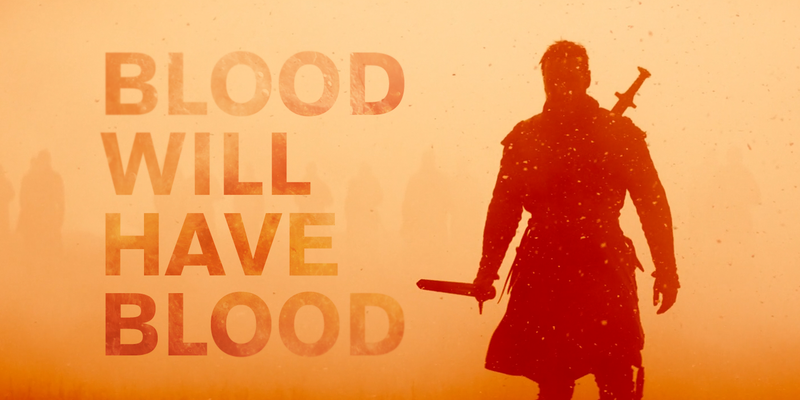 Do you believe that Macbeth would have eventually become king even without his own violent intervention? Can you think of other examples of leaders (fictional or real) passing inner tests of integrity before ascending to their position? For many years (decades, centuries), there has been debate as to what should be the relationship between art and religion. From a Christian perspective, should art have any prominent role in the church? What do we do about art made by those who believe differently than us? This might be visual art, literary art, music, or some other form of creativity. Is there a proper response to these things? The Fellowship: The Literary Lives of the Inklings: J.R.R. Tolkien, C.S. Lewis, Owen Barfield, and Charles Williams a biographical sketch of the memorable Christian literary group, the Inklings. More than individual profiles, this work also traces the interchange between these literary greats. For the Beauty of the Church: Casting a Vision for the Arts a call for the local church to embrace the importance of the arts and their artists. Culture Making: Recovering Our Creative Calling Andy Crouch’s thoughtful approach to cultural engagement for Christians–being involved in the creative process rather than merely reactionary. Refractions: A Journey of Faith, Art, and Culture a collection of post 9/11 essays regarding the intersection of faith, art, and culture by Japanese American Makoto Fujimura. Liberal Arts for the Christian Life a defense of more traditional academic subjects (the humanities) during a cultural crisis in which STEM subjects are often promoted at the expense of a broader education. 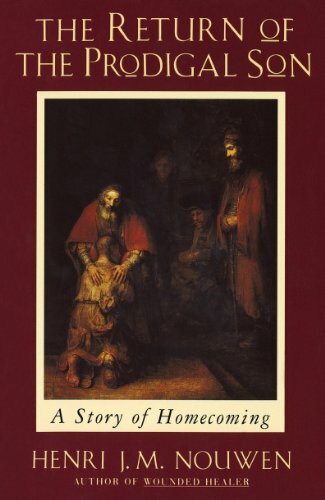 The Return of the Prodigal Son Catholic priest Henri Nouwen’s examination of faith and grace (drawn from personal experience) through the lens of Rembrandt’s famous painting. Beauty Will Save the World: Recovering the Human in an Ideological AgeGregory Wolfe’s defense of Christian humanism, reflectively discussing the faith elements present in less discussed authors such as Evelyn Waugh, Flannery O’Conner, Shusaku Endo, Wendell Berry, and more. Echoes of Eden: Reflections on Christianity, Literature, and the Arts more accessible than Wolfe’s work (above), it highlights the proper Christian stance towards art and literature and the discusses the specific faith evident in the works of C.S. Lewis, J.R.R. Tolkien, J.K. Rowling, William Shakespeare, and Jane Austen. So here is a primer for anyone interested. Are there any other good ones to add to the list? Sometimes “religious” poem smacks of over-sentimentality. In that case, this isn’t a religious poem. Gerald Manley Hopkins is a master with words, a Victorian poet who reminds us of the “bright wings” of the world. And check out the reading by Stanley Kunitz, another poet. 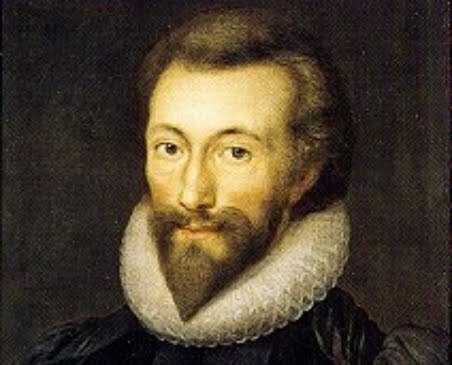 John Donne, a 17th century English poet, wrote “Death, be not proud,” a sonnet, in 1609. This particular poem was published posthumously along with a group of other poems in a collection known as his Holy Sonnets. These sonnets explore deep religious themes and are thought to have been written in a period of personal trial in Donne’s own life. Another piece of life added to Donne’s poem is the composition of nine holy sonnets by composer Benjamin Britten in 1945. Though the poems are melancholy, there is a note of redemption, especially poignant in “Death, be not proud.” It is said that Britten was inspired to compose his work after witnessing the horrors of a Nazi concentration camp. Both the poem and the musical composition are posted here.